Premier Aquatic Services is a proud vendor of the Zoll AED Plus and other great Zoll products. The AED Plus is the first and only full-rescue AED that provides Real CPR Help® for rate and depth of chest compressions. With real-time feedback the rescuer can provide the best manual CPR possible in a sudden cardiac arrest (SCA). The AED Plus also guides rescuers through the complete Chain of Survival helping all SCA victims, not just those who need a shock. 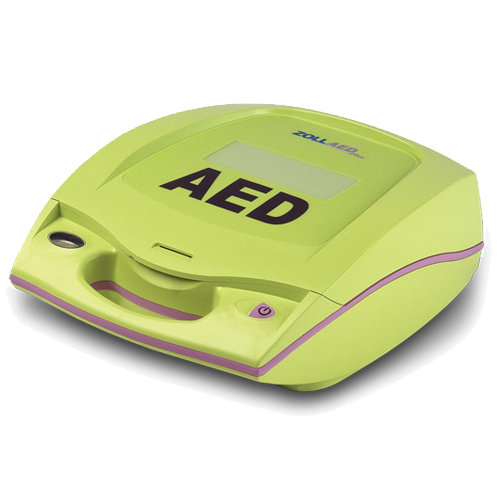 Clinical – We will increase your odds of saving a victim’s life by More Than Double with the ZOLL AED Plus! Logistical – We will decrease your maintenance obligation by up to 60% with the ZOLL AED Plus! Financial – The ZOLL AED Plus has the Lowest Cost of Ownership over a 5 and 10 year period! Liability – Liability exposure is decreased due to the infrequency of Pad and Battery changes! Interested speaking with someone from our team About the Zoll AED? Complete the form below and we will contact you within 1 business day.